We came across London lot Nolita View late last year, and were quite impressed by their variety of influences - their name inspired by The National, their tunes bearing some reminiscence to an array of artists including Phoenix and The Strokes. They're back with a new EP, 'Islander'. An EP which arguably gets better as it goes along - handy then that they're giving away closer, 'Polly'. The EP is very much guitar-focussed but the varied influences seem to be back - title track 'Islander' reminds us a bit of Yeasayer and there's even a bit of a Chas n Dave type thing going on in 'Angel Eyes'. The EP culminates with the spirited guitar-pop of 'Polly', which you can download below for free. Have a listen to the rest of the EP while you're at it. 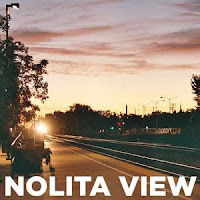 Find more info at facebook.com/pages/Nolita-View.